iTunes can often present the best means of backing up and restoring an iPhone. This is because the process is usually fast and safe. So, a lot of users prefer to do their backups and restores over iTunes. However, a lot of users have reported that they were unable to restore their iPhone due to an iTunes error that pops up saying “iTunes could not restore the iPhone because the backup was corrupt or not compatible with the iPhone”. A lot of iPhone X users have particularly complained about this. This problem affects pretty much all the iOS versions, including iOS 12. In this article, you’ll learn the reasons why this error pops up and the easy fix to get rid once and for all. This error, though frustrating can be down to some very simple reasons. It could be because, obviously, there is a problem with your previous backup. So, if the last backup was truly corrupt, you won’t be able to restore the backup. Another common reason for this error is, obviously, trying to restore a new iPhone from an incompatible backup. If you have a new iPhone or an upgraded iOS, you will not be able to restore your new device with the old backup. This would be the case if you just got an iPhone X and you’re trying to restore a much older backup. There is only one perfect fix for your corrupt or incompatible backup issues and this fix is with iMyFone TunesFix. TunesFix is the best iTunes issue repairer you will get your hands on. It offers market leading error fixing ability, having solved more than 100 known and unknown errors that plague iPhone and iTunes. With TunesFix, it doesn’t matter if you know what’s plaguing your iTunes or not. All you have to do is download the app and get your iTunes fix. Do-it-yourself program that also fix any iTunes issues, like iTunes could not connect to iPhone, iTunes won’t install/update, iTunes won’t uninstall, etc. Step 1: Start up TunesFix. Once launched, the first line of repair provides automatic detection of your iTunes and necessary components. 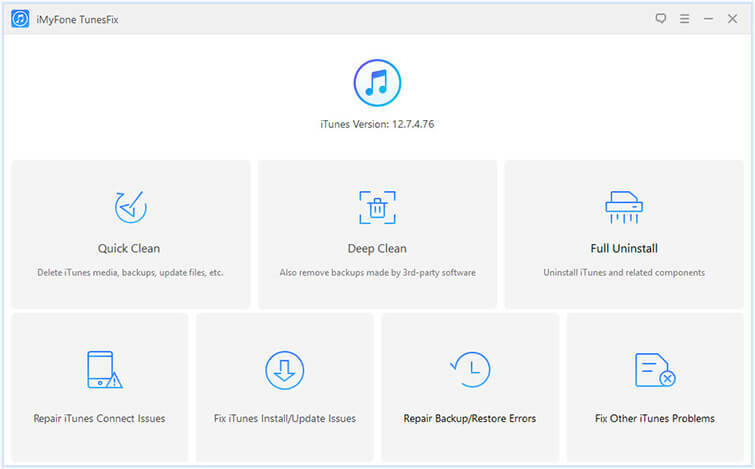 If there’s damage to your iTunes, TunesFix will show you the specific status and allow you choose to repair it. This can take care of your issues even before you do a single thing. Step 2: If the error persists or after fixing the error, you will be directed to the homepage once the repair is complete. 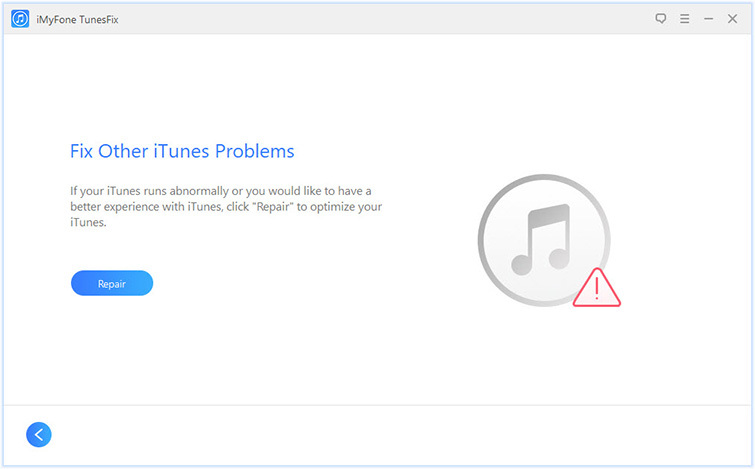 On this page, you can see all the options available to fix your iTunes issues. Step 3: Select the “Repair Backup/Restore Errors” mode. Step 4: Click on “Repair” to start the process. Ensure that your internet connection is stable. At the end of the repair process, you will have yourself an error free iTunes. iTunes may throw a spanner in the works from time to time and make your iPhone backup or restore experience less than desired. But with iMyFone TunesFix, you’re equipped to take charge of any problems that may surface and handle them without stress.